I love having, healthy, quick and easy dinner time meals in my recipe box for my family. I call this my More Fun For Mom arsenal! How about you? 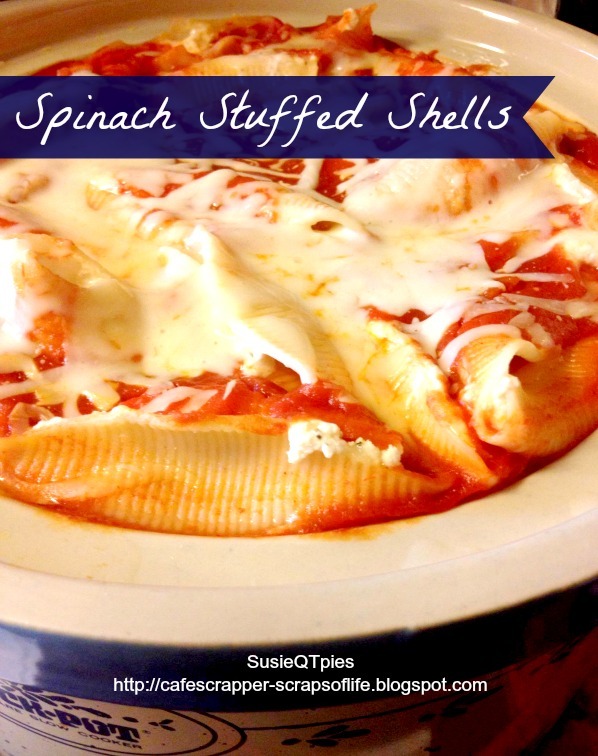 This Spinach Stuffed Shell Recipe is one of my go to comfort food recipes. Gooseberry Patch is the National Best-Selling Publisher of cookbooks. Their books cover such topics as Kids in the Kitchen, Best Ever Cookies, Mom's Very Best Recipes and more! Here is a review on their newest, Weeknight Dinners which is where this recipe was found! These Shells do say comfort, they look awesome. Thank you very much for sharing with Full Plate Thursday and have a great week!